Our Saturday meanderings found us wandering amongst hundreds of salmon carcases. And what an experience it was! 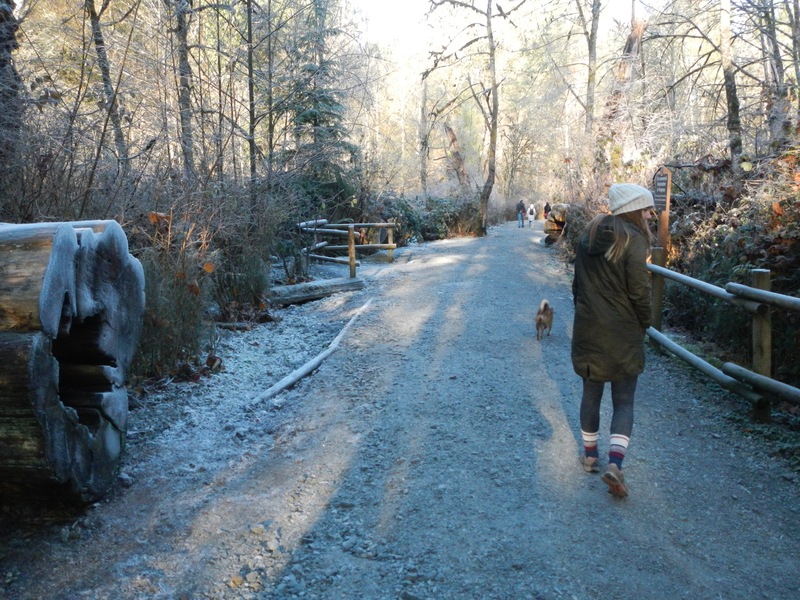 The salmon run at Coldstream park is a site to behold. 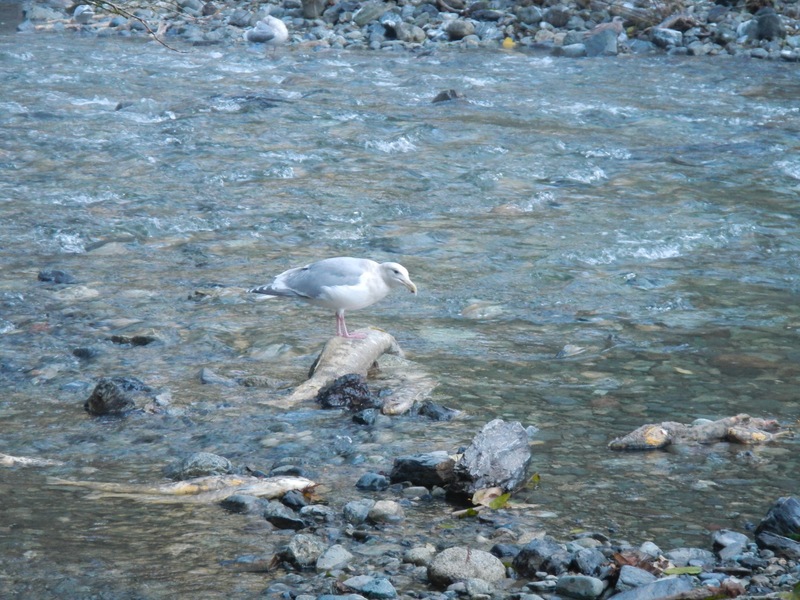 We had the privilege of witnessing this phenomenon last year, where hundreds of salmon compete for prime spawning ground, surrounded by hungry, pecking seagulls, awaiting their deaths. It was spectacular. Today we arrived hoping to witness something similar, but apparently we were a tad-bit late. 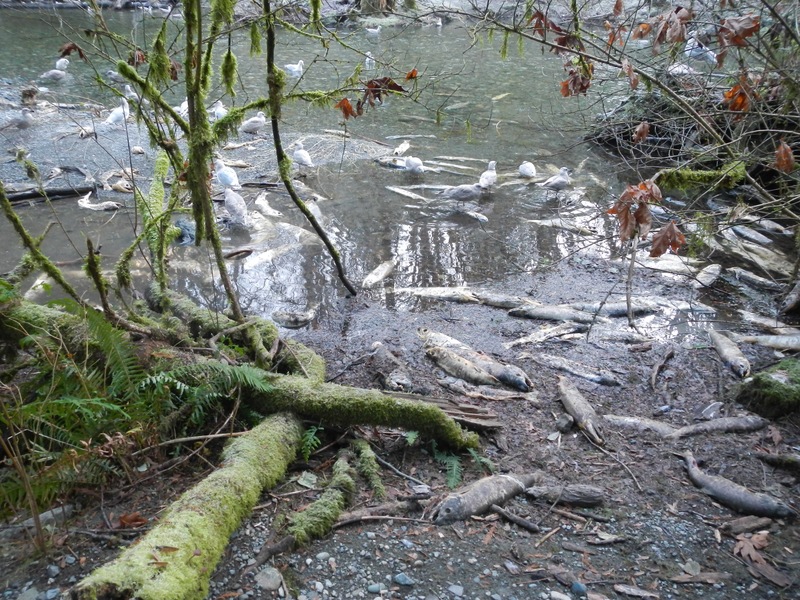 Dead salmon everywhere! As tragic as it was (and incredibly smelly), we found ourselves in awe of it all. 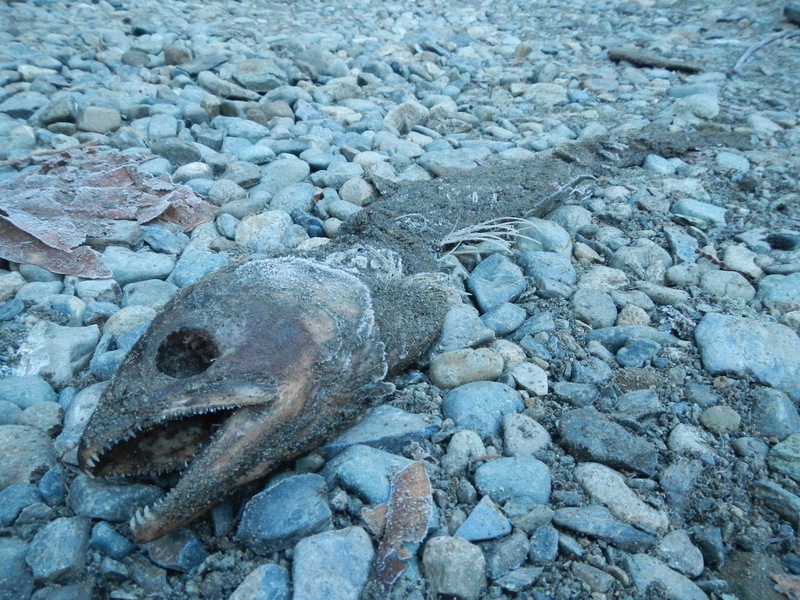 Rotting salmon, providing nourishment for seagulls (and most likely rodents and other scavengers at night), and adding nutrients back to the soil, river, and ultimately, the ocean. 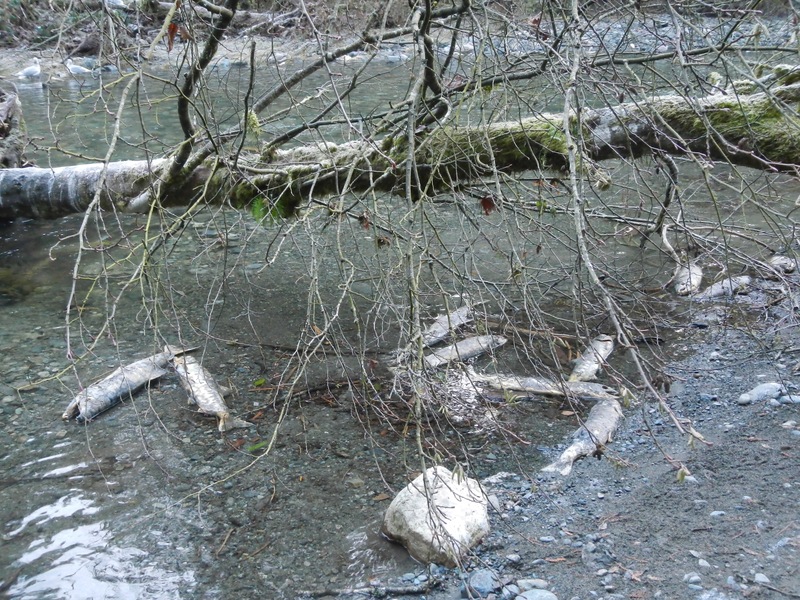 In the hour that we spent walking up and down the river, we only saw two live salmon, still trucking away, looking closer to death than any animal I have ever witnessed…I mean, death was at their doorstep. 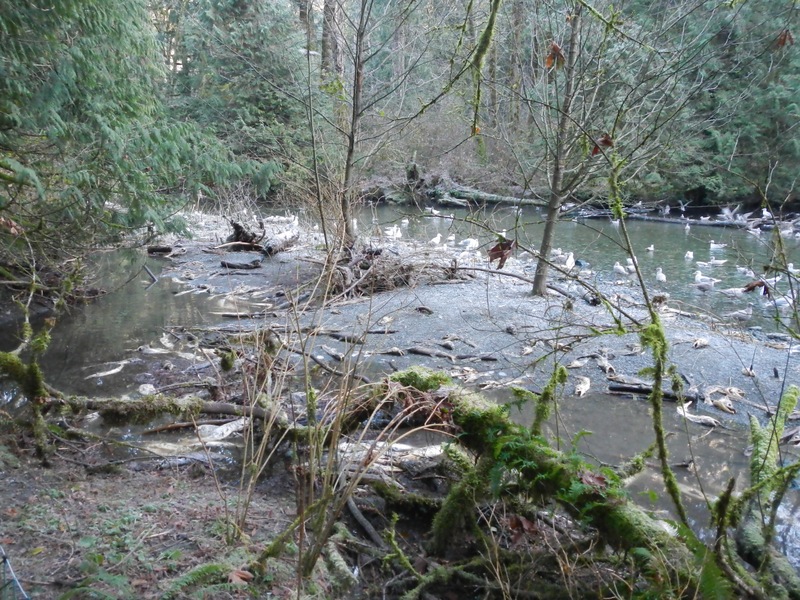 One salmon was flailing around in the water, barely able to swim. Upon closer examination, we noticed that he or she had little to no fins left. It appeared that this poor fish had been continuously feasted on by seagulls. When a seagull proceeded to prove this sad fact to us, I had to walk way. Sad? Sure. Terribly sad; but incredibly beautiful. A time for death? Sure. But beneath those frigid cold, smelly rotten waters, lurks thousands upon thousands of salmon roe, awaiting their time to shine in this thing called life.